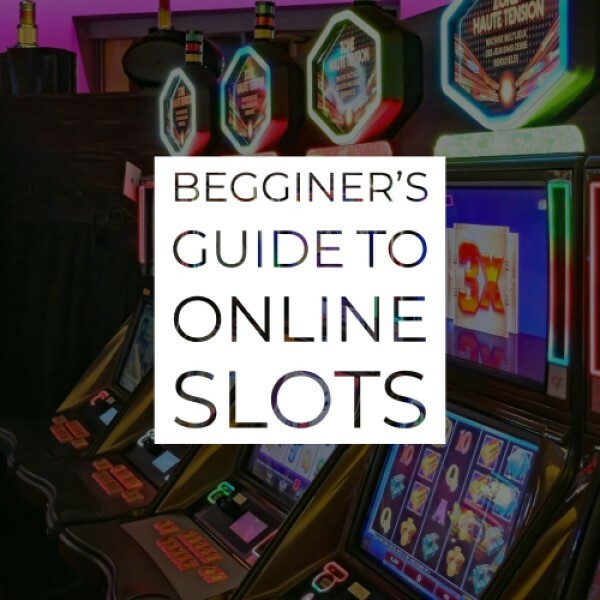 Take advantage of the simple, three reeled, classy online slot video game. 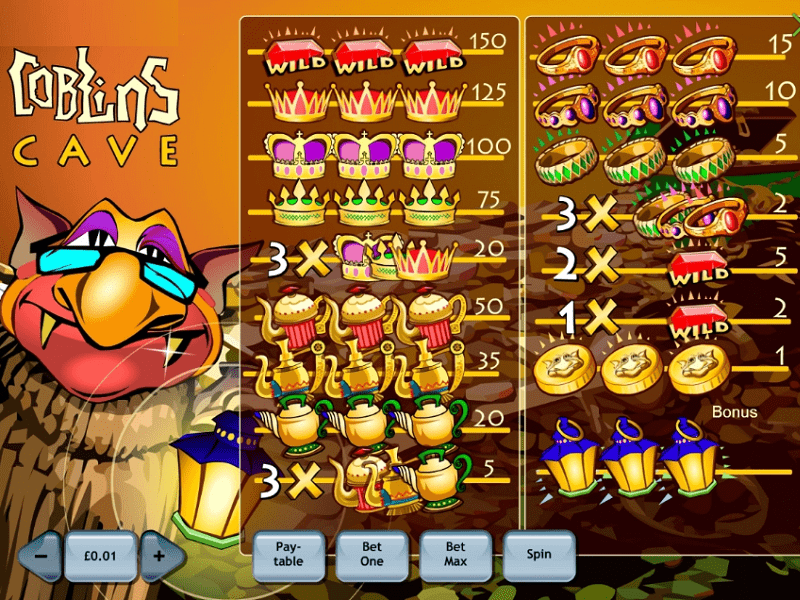 Goblins Cave slot game is the perfect game for massive wins! 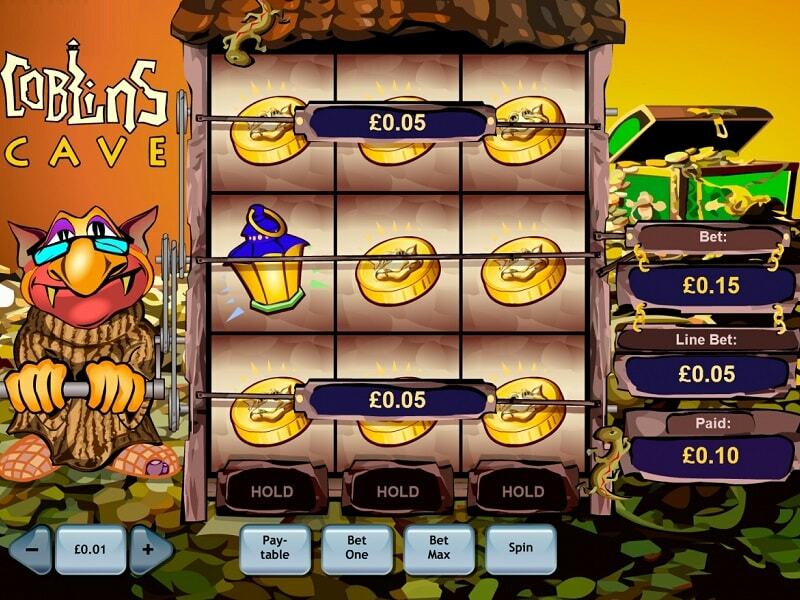 If you’ve had one too many five reels countless of paylines online video slot games, and you wish to try something simpler, take a look at Goblins Cave slot and everything will be clear. This is a game by Playtech which is well-known for the RTP that it holds. An amazing Return To Player of 99.32% makes Goblins Cave the best RTP of any slots game on the market! If this doesn’t trigger your attention and gets your adrenaline flow, we give up. Goblin’s Cave possesses three reels and three paylines and the reels can be spun with a range of denomination from £0.10 up to £5.00 for a single reel. Let’s see what the game can offer. Check the game on some of our sites to claim the bonuses and free spins that we offer which will kick-start your amazing experience and teach you a thing or two about goblins. Goblin’s Gave is a game developed in 2013 where you are inside a cave full of gold and one old-looking goblin that is spinning the reels for you. All over the place, there are coins and crates full of gold coins, waiting to be distributed to the players. On one side of the reels, we can see the interestingly drawn goblin with glasses and his eyes clearly stating that he wants to go and sleep and he is tired of living. 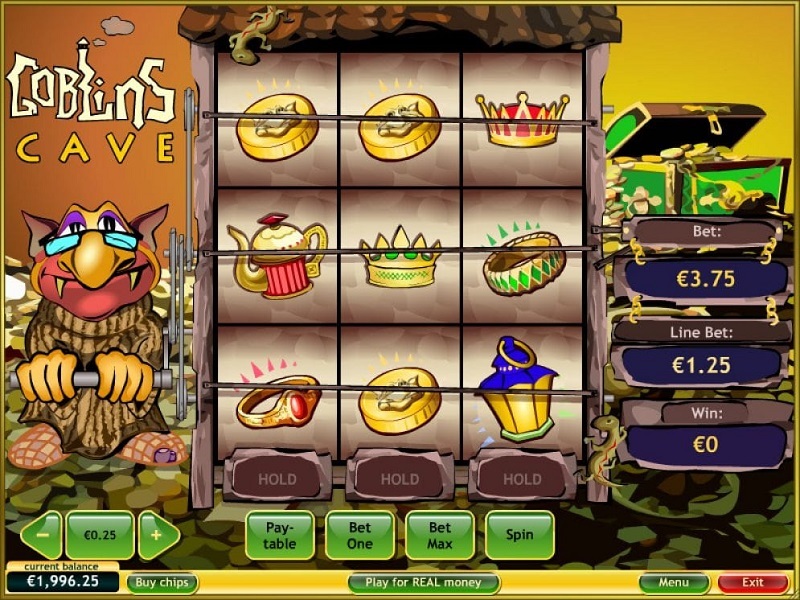 On the bottom, below the reels, you can see the helpful buttons and options that this game offers, while on the right side are the bet, the line bet and the amount you’ve won. A simple design, but if we were here for the design we would’ve played some of the modern action games that offer a unique experience, while this game offers 99% + return of the money from all the players, and that should be enough for most of the players. There are several different symbols in the game, and they are all related to the gold. There are crowns, golden pots, golden coins and golden rings. There are three kinds of Rings, Pots and Crowns, and they can be combined with one another to create a winning combination as well, apart from the payment you will get for three of the same. The coin is the lowest valued symbol of the game. As an addition, to make things interesting, the game has a Wild and a Scatter symbol. The Wild Symbol is represented by a red ruby diamond and is here to act as a substitute for the other symbols and participates in the winning combinations of the other symbols. Also, the wild symbol is the symbol with the highest value of them all, rewarding 150x your stake for three of it on a payline. The Scatter Symbol is a Lantern Bonus symbol and it triggers the bonus feature of this game. As soon as you hit the spin bottom, the goblin will start turning the lever and you will be just seconds from an amazing win. With 3 reels and 3 paylines, the game focuses on bringing lucrative wins instead of focusing on the gameplay and shininess of the design. To start playing this awesome game, you’ll need to select one of the casinos located at the side of this review. The casinos are important because you will spend a lot of time there, and they actually handle the playing money. Take a good look at the players’ reviews and casino welcome bonuses, and make a decision. Usually, we keep the best casino at the top, so feel free to go for it asap. You can spin the reels of Goblins Cave starting from £0.01 going all the way to £5.00 and you can adjust on the left and right arrow in the bottom left corner. Spin to have a chance to win the best multiplier of the game, which is 150x. Since the Max Win of the game is a multiplier, it is always smart to play with as higher denomination as possible. The Bet Max features here to set the highest denomination, number of lines and coin value, and it also activates all of the paylines. This feature can bring you a lot of money but it can lose all of your wagered money pretty fast, so we suggest you come up with a plan or a limit to your cash or completely neglect this feature. On the other hand, the Auto Play is here for the times you want to rest your index finger and let the game spin the reels for you. All you need to do is set up the denomination and the number of spins that you want to rest. If you change your mind, you can always cancel the feature. Apart from these two options, you can adjust everything that the game offers manually. A nice feature offered by this game is the Hold option. Just below the reels, you can see a Hold button, one for each reel, which will get pushable one you spin the reels. This will give you the option to save some reel for the next spin, and you can choose to save one, two, all three or none of the reels. Use this feature wisely! Because of the simplicity of the game, Playtech tried to keep the Bonus Feature as simple as it can be. By landing three or more Lantern Bonus symbols, you trigger the bonus feature of Goblin’s Cave. When this happens, you will be taken to a new screen where 11 chests will appear on the screen. You have only one chance to pick the chest that you think will be the most rewarding. Good Luck! RTP is an abbreviation for Return to Player, and it indicates the amount of money that the slot game returns to the players. It is implemented after a longer period of time, and always displayed in percentages. The RTP number is regulated by the UK Gambling Commission and must always be true. Check out more about the RTP on our Detailed RTP Guide. Playtech wanted to make a really nice surprise for all of the online slot game lovers, and they managed to do it perfectly with the RTP Percentage. There is not any game that is close to having this high RTP percentage in the online slots world – Goblins Cave leads with astonishing 99.32% RTP! The house will only keep 0.68% of the money that the players are investing in this game. This is what makes the game desired and inviting, although it doesn’t offer much with the gameplay. A fantastic game developed by Playtech which is a pure example of a game which you need to play with the maximum coins in order to win the max 150x. With a fantastic RTP, simple 3 x 3 gameplay and soothing music, this game will bring you nothing but entertainment, fun and full pockets. Check out some of our Casinos to claim the Welcome Bonuses and Free Spins that we offer. Best of luck!